Check out our 150th anniversary products and celebrate with us in style. Randy Attwood talks about the RASC's sesquicentennial on CP24 news. At its best, the RASC is about collaboration, and cooperation. With that in mind, the Society called on its members in 2018 to participate in the biggest RASC selfie ever, by submitting their photos of astronomical outreach and inreach activities of various kinds to be used in the making of a mosaic in celebration of our sesquicentennial! Images flowed in from across the country, showing us at urban star parties, at dark-sky events, at Centre meetings, observing, imaging, setting up and peopling displays, building and maintaining observatories, experiencing eclipses, and other celestial events. Several images of our RASC predecessors doing astronomy were also thrown into the mix, to acknowledge the temporal depth of our tradition. Combined into one image, the resulting mosaic is a visual symbol that we’re an effective and diverse national organization. The mosaic was finished in time to be displayed at our sesquicentennial General Assembly in Calgary over the Canada Day long weekend. The mosaic banner is made available here in several digital files for download and use by members. The highest-resolution file is sutable for printing a 5x6-foot (1.5x1.8-metre) banner. 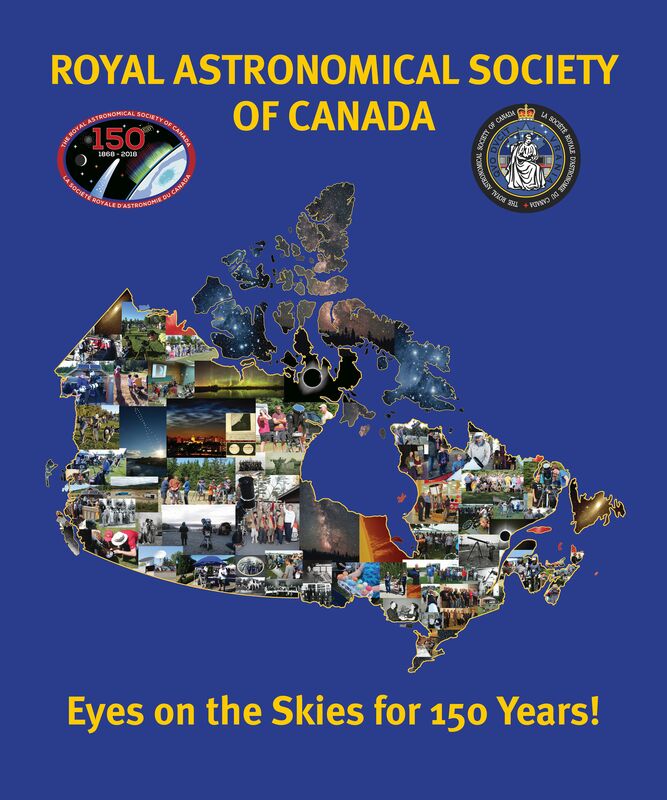 We the RASC 150 Working Group thanks everyone who sent in images to make this possible! If you have any questions about the project, please do not hesitate to contact either June MacDonald, or Heather Laird.